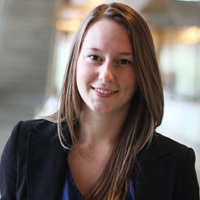 Alexandra, previously won and IABC/BC Student Communicator of the Year (SCOY) Scholarship Award and has become a true ambassador for this program. She now sits on the Student Services committee as Events and Social Media Coordinator since September 2013. Being involved on the Student Services committee has given Alexandra the opportunity to improve her public speaking skills, schedule tweets, use new social media tools and receive amazing support. 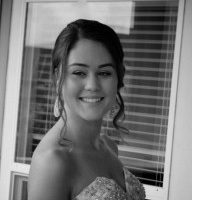 Shaelah Clancey is a student member of IABC/BC, in her first volunteer role as Event Assistant for the 2014 Bronze Quill Awards Gala. She took on the role with the Gala to start collaborating with IABC/BC members of different backgrounds; indeed, she finds the hands-on experience invaluable for the opportunity to work with communicators from different backgrounds. When it comes to communications, crisis communication planning is one of Shaelah’s areas of interest, while event planning also captures her attention. She is currently in the two-year Public Relations diploma program at Kwantlen Polytechnic University. One of her passions is travel, and she hopes to combine her interests once she graduates by working in public relations in the tourism industry.